-TWO SLICES FOR ME, PLEASE! These delicious, healthy sweet snacks are ideal for Low Carb High Fat, Ketogenic, and High Fat diets, and are also a great alternative to fat sugary treats. “Fast Keto Desserts and Healthy Sweet Snacks. 30+ Low Carb Sweet Recipes to Lose Fat Quick.Perfect Keto Cakes, Keto Fat Bombs Book for Healthy Eating Meal Prep. (high fat keto meals, low carb keto snacks)” by Caren Warren is pure goodness in the palm of your hand! 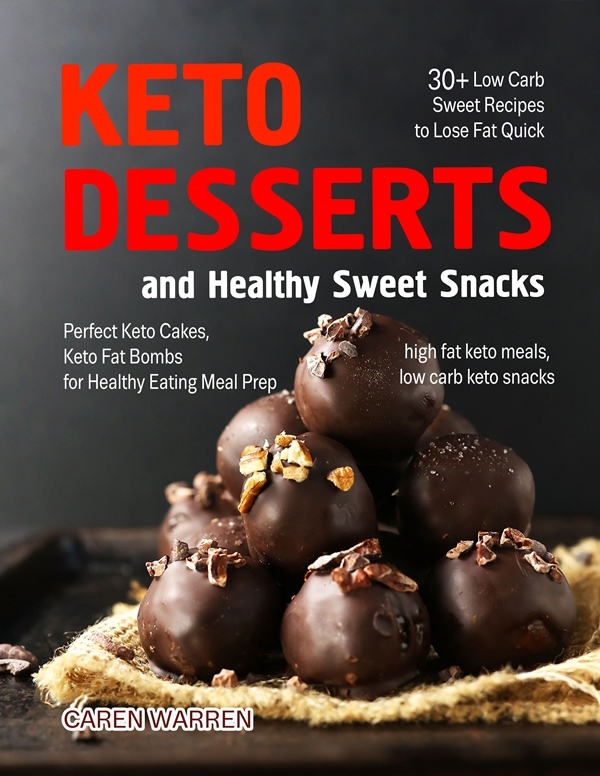 • easy to prepare recipes of keto fat bombs, keto fudges, keto puddings, red velvet desserts, funfetti snowballs, beautifully laid out with gorgeous photography – making them a joy to create! • Lose Fat Quick with these cutest little bites you ever did see! Burn fat, Feel incredible, Boost your energy, Satisfy your tooth living your Keto Lifestyle.